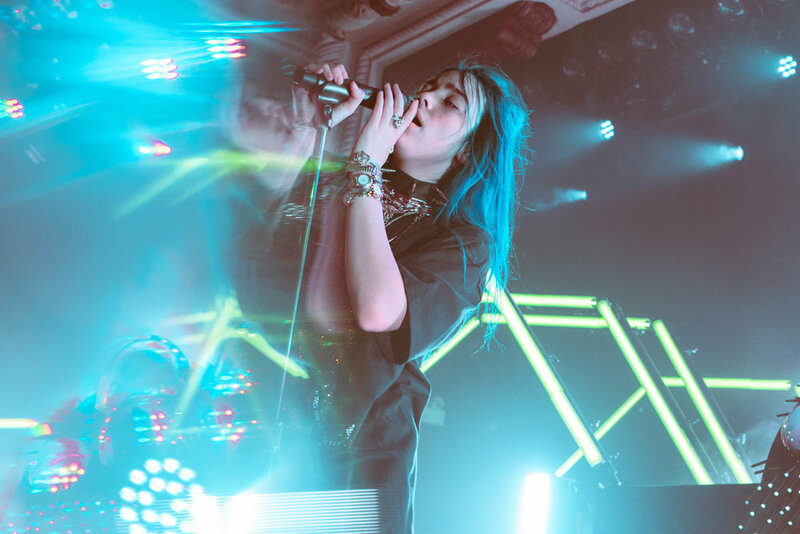 Just about a year ago, I first caught Billie Eilish at her sold out Chicago debut at Schubas Tavern. 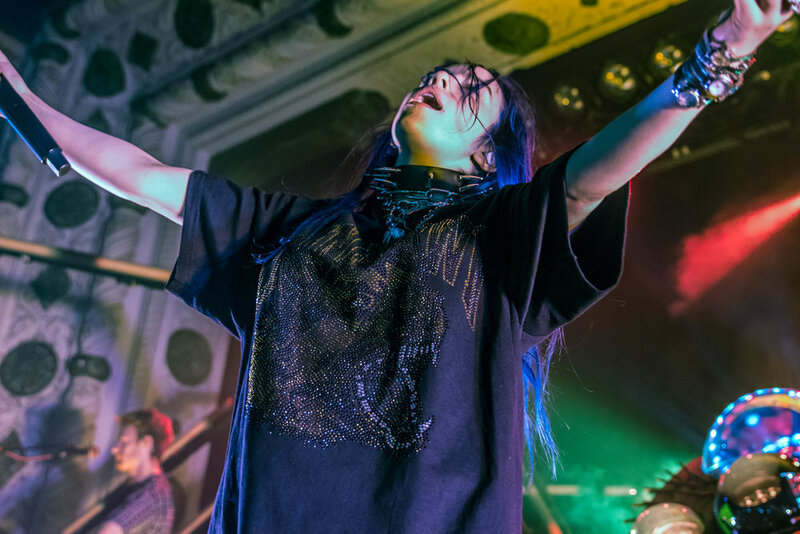 While the Schubas show was still packed to the brim with devoted fans, after catching Eilish again at The Metro this past Sunday night, it became clear that her debut was just the tip of the iceberg when it comes to a Billie Eilish show. 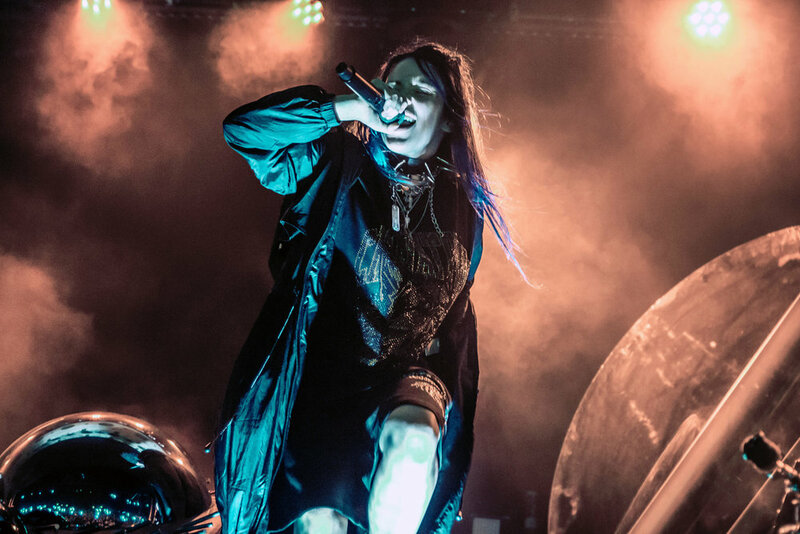 This time around, Eilish was not only equipped with more experience, but she brought along a bigger live band and a spider-shaped production rig that filled the entire stage. 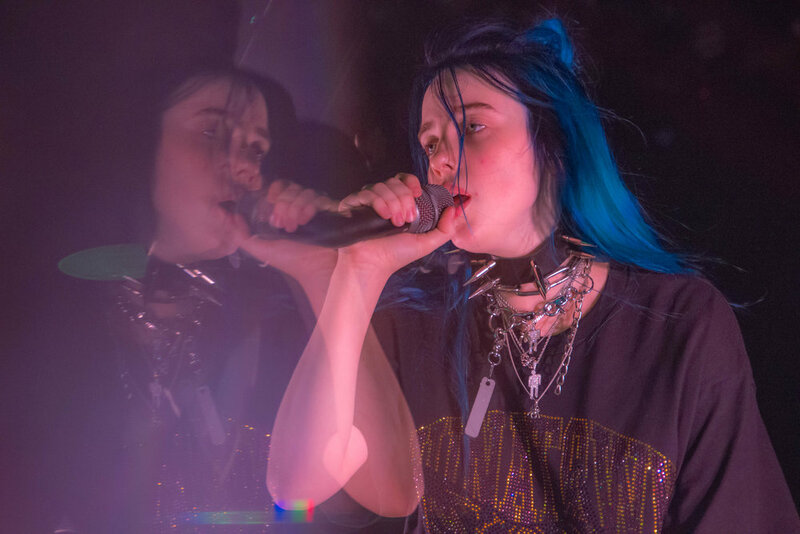 Eilish began the set hidden behind a part of the stage as her band members took their places, and after building suspense, the singer jumped out to start singing “my boy” from the 2017 EP dont smile at me. 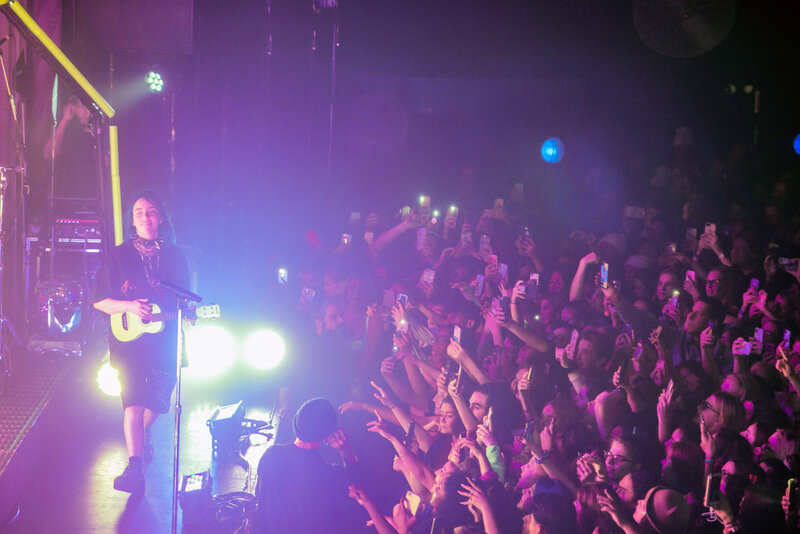 Immediately the young crowd loudly sang along with the repetitive and catchy chorus, sticking their phones in the air to document the start of the show. 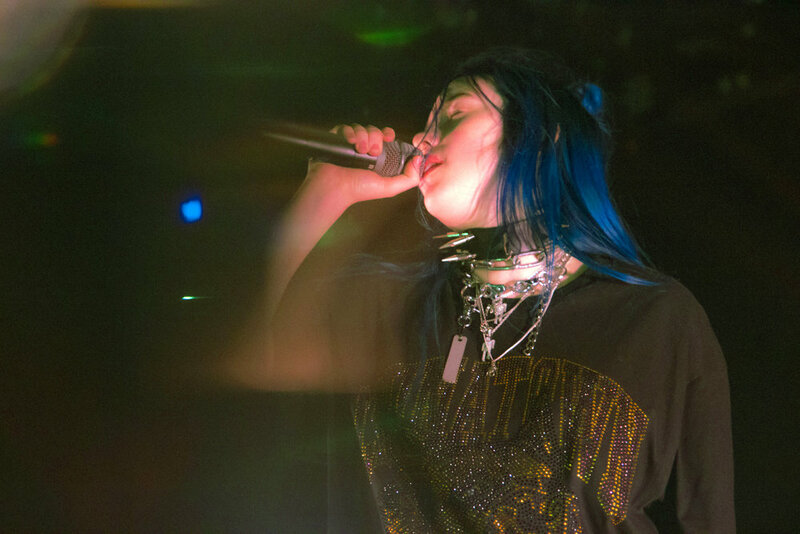 As the night went on, the pace of the music sometimes shifted, but the enthusiasm of the audience and the momentum of the show never waned; fans sang and danced along no matter what song Eilish was performing. Whatever energy the crowd gave Eilish, she continuously fed back to them, and she never stopped expressing her genuine gratitude. Eilish also made it clear she cared for the crowd’s well-being, and early on in the night paused her set to make sure everyone felt okay had plenty of water. 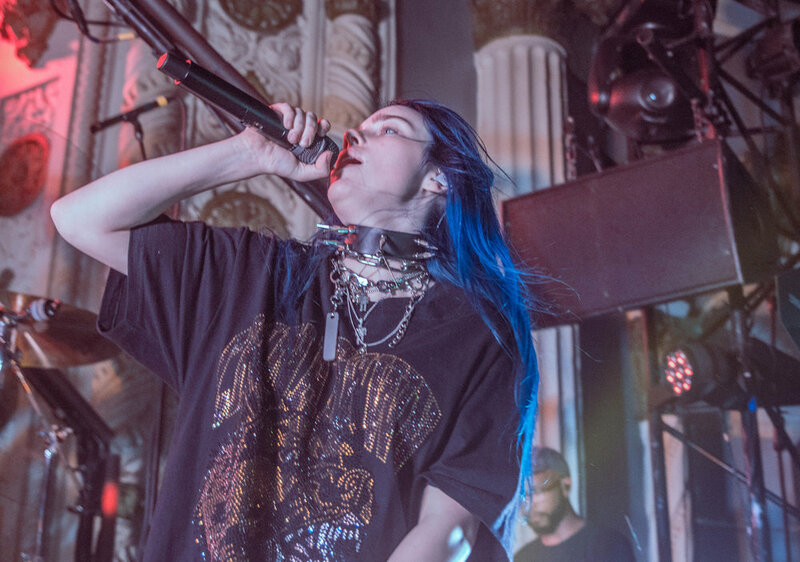 For the majority of Eilish’s set, the mood remained upbeat, most of her hook-laden pop anthems allowing for the crowd to dance along with her and the booming bass. 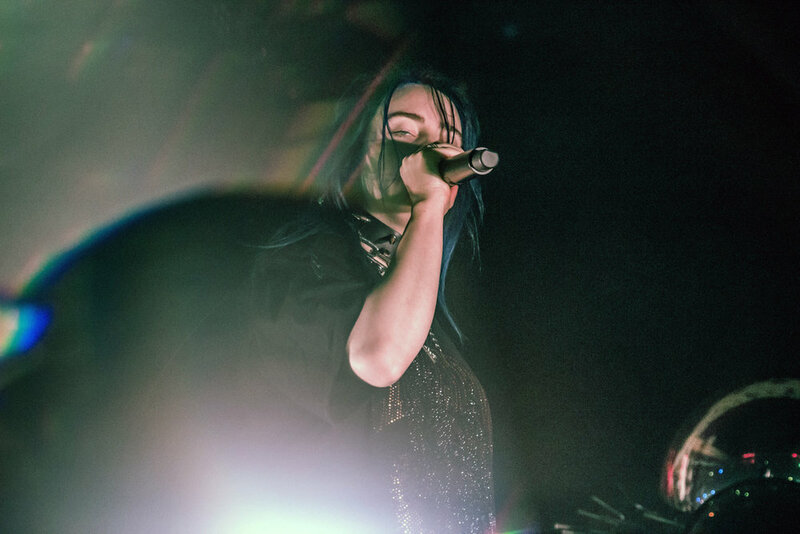 Songs like “Party Favor” and a short cover of “Hotline Bling” that Eilish performed armed with a ukulele highlighted her versatile sound by stripping back some of the heavier production featured on some of her other material. 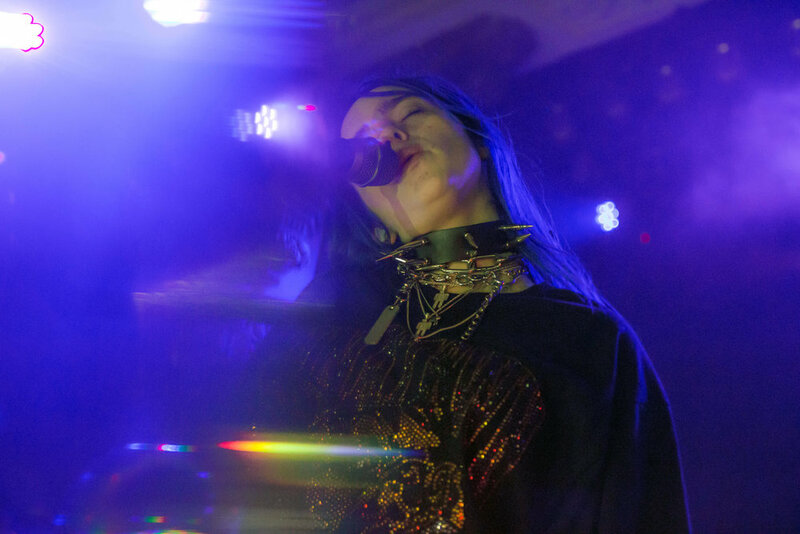 Towards the end of the set, the singer slowed things down and staked out a spot on a stool that was stationed center stage, where she sang her latest single “when the party’s over;” a falsetto driven piano ballad. 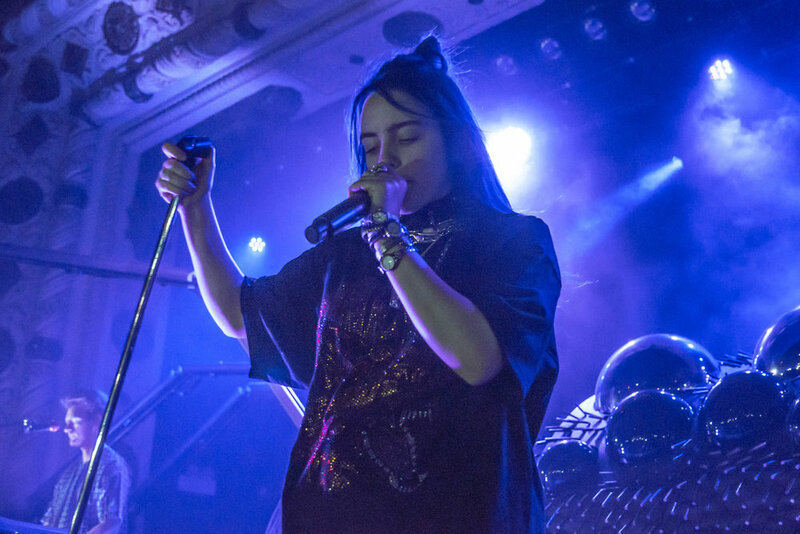 The first chapter of the show closed out with another popular song from Eilish’s debut: “bellyache.” The singer briefly left the stage after that song, but didn’t make the overzealous crowd wait long for an encore, as they quickly filled the room with overwhelming shouts for more songs. The crowd of about a thousand that packed The Metro on Sunday mimicked that of a room of 10,000 with their deafening noise levels. 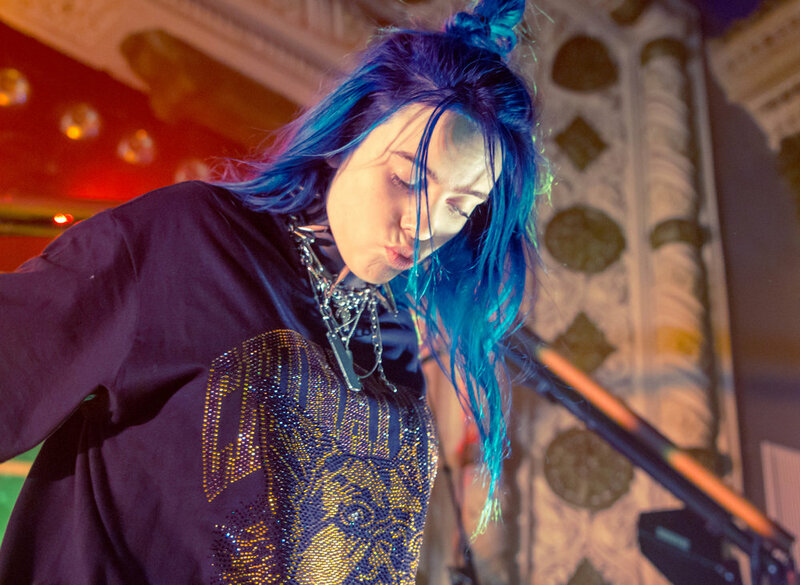 In just one year’s time, Eilish was able to sell out a room five times the size of her debut show, beef up her setlist with a handful of new singles, and deliver a show accompanied by full stage production, so there’s no telling where she’ll be at the next time she performs in Chicago. 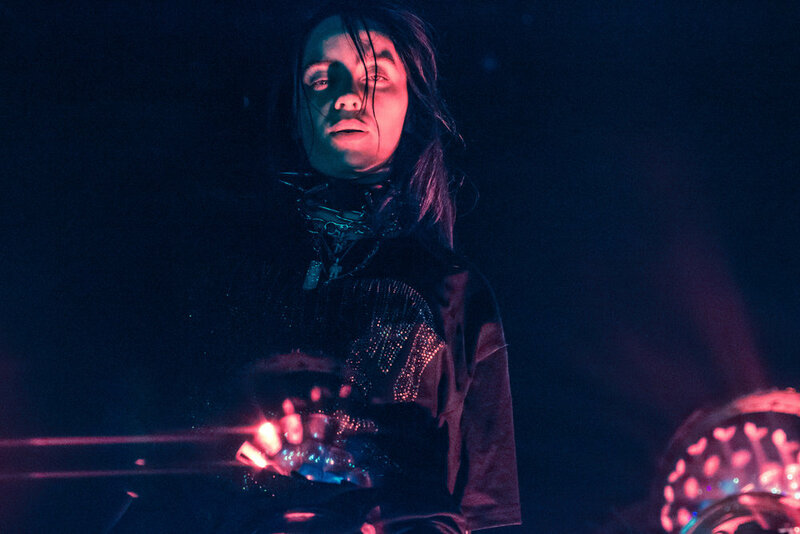 Catch Billie in a city near you (dates here) and check out photos from Sunday’s performance below.